Being a doctor in the United States is very tough, tougher than anywhere in the world in my opinion. It’s vey important to know what you are getting yourself into before you sign up for a career that will take close to a decade before you make the big bucks. Of course making money shouldn’t be your primary reason to go into medicine because you will most likely fail. You should like medicine for medicine and money is the bonus that comes with the profession. Whether you go to US or off-shore school, taking the MCAT is a must. All your pre-medicine classes will prepare you for the MCAT. However, you will have to study independently for the MCAT as it is harder than the USMLE exams according to some. Applying to medical school is a tedious process and you have to run around taking care of papers for various requirements. Whether you go to a US school or off-shore school, the basic science foundation is required in order to set the foundation of medicine. You need to go over various topics in medical school: physiology, pathology, microbiology, anatomy, histology, ethics, biochemistry, etc. After basic sciences you need to sit down for the USMLE Step 1. It’s a computerized test where you have to answer over 300 questions in one sitting. The last two years of medical school deals with clerkship in the hospital. You will be given hands-on-learning experiences with doctors and other hospital staff. These years are very important as this will give you an exposure of the healthcare environment. You are not expected to know everything or learn everything but this exposure will help you gain experience. These two tests are taken within the clinical years. USMLE Step 2 CK is just like the Step 1 as in sitting in front of a computer and answering questions. The USMLE Step 2 CS is a practical exam where you will perform doctor interview tasks in front of an actor. Residency is a tedious process where you have to go through a list of programs which you are interested in. These programs can be limited to you if your application is poor as in if you got low USMLE scores. So you need to gain the highest score possible in your USMLE board exams. Residency is at least three years and you need to contribute 60-80 hours a week with at least 3 weeks of vacation time per year, which depends on the program. 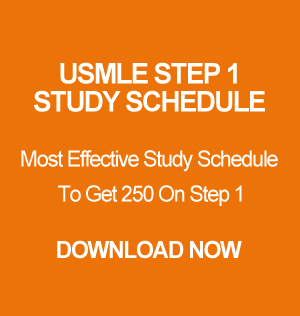 You will take the USMLE Step 3 during this time and your residency program will pay for that. After residency, you will be able to sit for the state board exam such the internal medicine board exam or the family medicine board exam and get your license. If you are in other residency programs such as pathology, psychiatry, OB/GYN, surgery, or pediatrics, etc. you may have to serve residencies longer than 3 years. If you plan to specialize such as in cardiology or nephrology, then you would train for another 3 years in fellowship after residency. As you can see, training to be a doctor in the United States is a long process touch process. You have to be mentally ready to handle the exhaustion and commit. Next Next post: How Important is Doctors In Training (DIT) For The USMLE Step 1?